Since 2004 Alpha Computer Group has been a security camera system industry leader throughout the NYC, NY area including Manhattan and Queens. We offer innovative and effective security and surveillance solutions for all commercial and residential types. We pride ourselves in tackling the toughest security challenges while maintaining the highest quality security camera systems at competitive pricing. Our systems will cost you 1/3 of what a security guard will cost you and can be much more effective. With our pan, tilt and 36x zoom cameras our 24/7 monitoring station can zoom in and follow the suspect, taking close-up and quality video for the greatest chance of positive identification. The camera’s CCD (charge-coupled device) sensor technology uses a special manufacturing process to allow the security camera chip sensor to transport charge across the chip without distortion. This leads to the highest quality sensors when it comes to fidelity and light sensitivity. High quality and low noise sensors in our security camera system are the key to positive identification at your NYC business. No project is TOO SMALL or TOO BIG for us. We specialize in CCTV Security Cameras Installation in NYC & we also provide other Low Voltage Services like Home Automation, Access Control (Card Reader Access), Burglar Alarm, Intercom System, Surround Sound, Home Theater, Networking, Wifi, Point of Sale etc. Having an established customer base in NYC & Surrounding Areas (Manhattan and Queens), NYC is one of our main area for business. Through our CCTV Security Cameras Installation NYC services we can provide you with the most reliable and effective security system for your home or business. We provide Free Estimate for CCTV Security Cameras Installation in NYC based on your budget & requirements. You don’t have to come up with a huge investment to purchase the equipment, we provide all the security equipment at an economical rate along with an easily affordable installation service. Alpha Computer Group staffs only professional Security Camera Installers NYC. At Alpha Computer Group, we pride ourselves in tackling the toughest security challenges with our security camera systems for NYC. Our video surveillance system is teamed with the highest security camera technology and Infra-Red (IR) Curtains for maximum perimeter protection. If someone enters your property, they will break this Infra-Red Curtain that then sends an instant alarm to our Alpha Computer Group Monitoring Station. Inside the perimeter, there is a network of wireless long-range IR Motion Detectors, which not only detect motion, but also help us pinpoint these intruder locations. The monitoring station remotely looks at your site examining the zone that was alarmed as well as the whole site for anything suspicious. If someone is spotted, the Alpha Computer Group Monitoring Station zooms in on the suspect’s face with the corresponding Pan, Tilt and 36x Zoom Security Camera system, recording close-up digital surveillance video for observation and later police review. Once the Alpha Computer Group Monitoring Station observes and makes a trained decision on the trespasser. If they observe it is a criminal they dispatch the local police. Our Monitoring Station can work with the NYC Police departments in both Brooklyn and Bronx counties, describing the suspect and where they are on your premises. Alpha Computer Group’s CCTV Installation NYC has been in business since 2004 performing CCTV Security Cameras Installation in NYC & Surrounding Areas for Residential, Commercial & Industrial. We believe in word of mouth more than anything else. Most of our business comes from repeat customers and their friends & family. We specialize in CCTV Security Cameras Installation in NYC, Video Surveillance Cameras Installation in NYC, Remote Cameras Monitoring in NYC, Wireless Security Cameras, Hidden/Covert/Nanny Cameras & much more. We provide new Video surveillance cameras installation & we also service existing CCTV Cameras Systems. Most common service provided for new clients is to get their existing CCTV Security Cameras System online or to Analyze & Recommend a State of the art 1080P HD CCTV Security Cameras System with Remote Cameras Access within affordable Budget. We also offer monthly Payment Plans & Maintenance Agreements for peace of mind. Alpha Computer Group is proud to provide an exciting new concept in security, loss prevention and asset protection for the New York area and across the NYC; Manhattan & Queens. 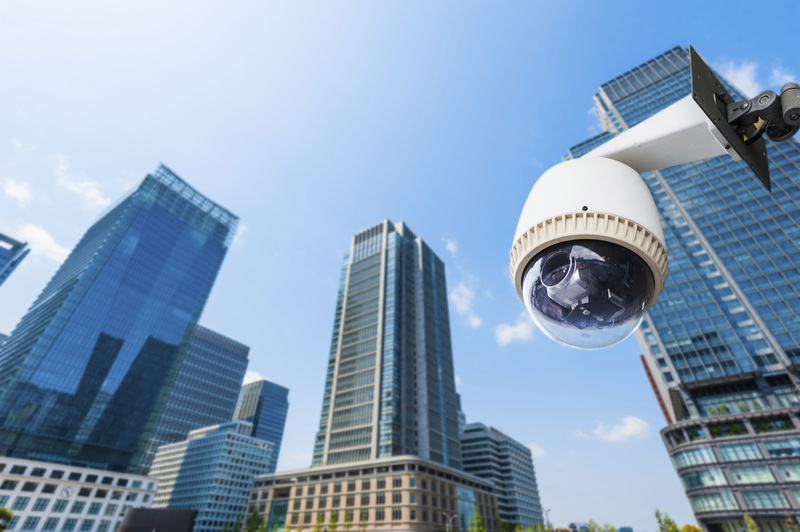 For a dependable, experienced, quality and professional security camera system in NYC and throughout New York, call Alpha Computer Group for a free inspection today at (877) 608-8647. Relocating offices-or even reorganizing an existing one involves countless, potentially stressful details. If you’re in the middle of such a project, you have much more to think about than your company’s IT systems. We understand that your company’s technology systems must be moved with minimum downtime and disruption. To make sure your office move is a success. Alpha Computer Group is a structured data and network cabling installer based in Nassau County. We design and implement, budget friendly, voice and data systems around your present and future needs. We have been providing reliable Voice and Data Cabling services in the Nassau County area for over 10 years. We provide state-of-the-art equipment, the latest technology, experienced technicians and customizable data-networking business solutions. Whether you require one line or a thousand lines, we will offer high quality service and on time results with the best prices for the market. Alpha Computer Group has a team of skilled experts that can fulfill all aspects of network engineering ranging from system design and construction to staff augmentation. We will ensure quality control throughout the process and strive to exceed your expectations each step of the way. Alpha Computer Group is a full-service communications cabling contractor located in Nassau County, NY. We utilize existing and emerging technologies for voice, data and video applications. Alpha Computer Group combines superior workmanship with high quality, cost-effective products to design and implement cabling systems that deliver reliability and performance. Our highly trained engineers, project managers and industry-trained technicians take responsibility to assure our customers are delivered the highest quality premise wiring network installation to current specifications. We regularly attend training courses to keep ahead of the rapid changes in networking technology. Our team is qualified and approved to install systems to manufacturers’ warranted specifications. Alpha Computer Group services all of Nassau County, Including Nassau County and Suffolk County New York. We are a Nassau County Structured Cabling Contractor, Nassau County Data Telephone System Installers, and Nassau County OSP Cabling Contractor services. Our technicians are BICSI certified installers fully versed in data communications, gigabit Ethernet-LAN/WAN network integration, fiber optic distribution designs and installations for a wide range of fiber optic network applications. Our customer service department, systems engineers, contracts coordinator and technical support staff have an in-depth knowledge of the telecommunications industry. We work closely with our customers to develop and deliver innovative solutions for the most challenging, business critical requirements. Since 2004, many of Nassau County’s best companies and non profit organizations have trusted Alpha Computer Group for their IT Support and cabling needs. Contact us Today to discuss your project @ (877) 608-8647. Alpha Computer Group is a structured data and network cabling installer based in Suffolk County. We design and implement, budget friendly, voice and data systems around your present and future needs. We have been providing reliable Voice and Data Cabling services in the Suffolk County area for over 10 years. We provide state-of-the-art equipment, the latest technology, experienced technicians and customizable data-networking business solutions. Whether you require one line or a thousand lines, we will offer high quality service and on time results with the best prices for the market. Alpha Computer Group has a team of skilled experts that can fulfill all aspects of network engineering ranging from system design and construction to staff augmentation. We will ensure quality control throughout the process and strive to exceed your expectations each step of the way. Alpha Computer Group is a full-service communications cabling contractor located in Suffolk County, NY. We utilize existing and emerging technologies for voice, data and video applications. 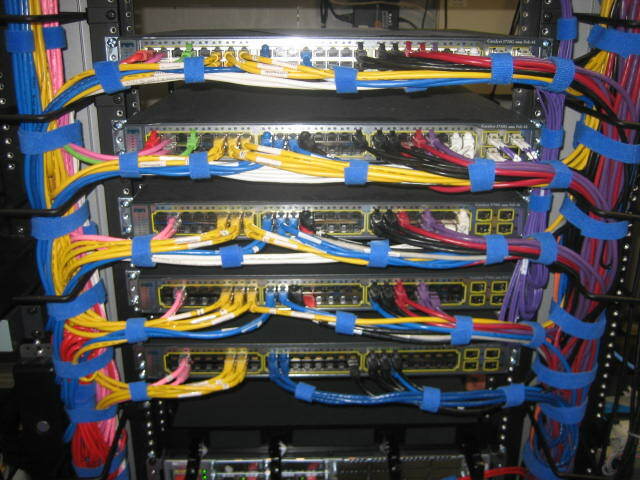 Alpha Computer Group combines superior workmanship with high quality, cost-effective products to design and implement cabling systems that deliver reliability and performance. Our highly trained engineers, project managers and industry-trained technicians take responsibility to assure our customers are delivered the highest quality premise wiring network installation to current specifications. We regularly attend training courses to keep ahead of the rapid changes in networking technology. Our team is qualified and approved to install systems to manufacturers’ warranted specifications. Alpha Computer Group services all of Suffolk County, Including Suffolk County and Suffolk County New York. We are a Suffolk County Structured Cabling Contractor, Suffolk County Data Telephone System Installers, and Suffolk County OSP Cabling Contractor services. Our technicians are BICSI certified installers fully versed in data communications, gigabit Ethernet-LAN/WAN network integration, fiber optic distribution designs and installations for a wide range of fiber optic network applications. Our customer service department, systems engineers, contracts coordinator and technical support staff have an in-depth knowledge of the telecommunications industry. We work closely with our customers to develop and deliver innovative solutions for the most challenging, business critical requirements. Since 2004, many of Suffolk County’s best companies and non profit organizations have trusted Alpha Computer Group for their IT Support and cabling needs. Contact us Today to discuss your project @ (877) 608-8647. 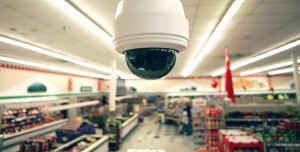 Since 2004 Alpha Computer Group has been a security camera system industry leader throughout the Long Island, NY area including Nassau County and Suffolk County. We offer innovative and effective security and surveillance solutions for all commercial and residential types. We pride ourselves in tackling the toughest security challenges while maintaining the highest quality security camera systems at competitive pricing. Our systems will cost you 1/3 of what a security guard will cost you and can be much more effective. With our pan, tilt and 36x zoom cameras our 24/7 monitoring station can zoom in and follow the suspect, taking close-up and quality video for the greatest chance of positive identification. The camera’s CCD (charge-coupled device) sensor technology uses a special manufacturing process to allow the security camera chip sensor to transport charge across the chip without distortion. This leads to the highest quality sensors when it comes to fidelity and light sensitivity. High quality and low noise sensors in our security camera system are the key to positive identification at your Long Island business. No project is TOO SMALL or TOO BIG for us. We specialize in CCTV Security Cameras Installation in Long Island & we also provide other Low Voltage Services like Home Automation, Access Control (Card Reader Access), Burglar Alarm, Intercom System, Surround Sound, Home Theater, Networking, Wifi, Point of Sale etc. Having an established customer base in Long Island & Surrounding Areas (Nassau County and Suffolk County), Long Island is one of our main area for business. Through our CCTV Security Cameras Installation Long Island services we can provide you with the most reliable and effective security system for your home or business. We provide Free Estimate for CCTV Security Cameras Installation in Long Island based on your budget & requirements. You don’t have to come up with a huge investment to purchase the equipment, we provide all the security equipment at an economical rate along with an easily affordable installation service. Alpha Computer Group staffs only professional Security Camera Installers Long Island. At Alpha Computer Group, we pride ourselves in tackling the toughest security challenges with our security camera systems for Long Island. Our video surveillance system is teamed with the highest security camera technology and Infra-Red (IR) Curtains for maximum perimeter protection. If someone enters your property, they will break this Infra-Red Curtain that then sends an instant alarm to our Alpha Computer Group Monitoring Station. Inside the perimeter, there is a network of wireless long-range IR Motion Detectors, which not only detect motion, but also help us pinpoint these intruder locations. The monitoring station remotely looks at your site examining the zone that was alarmed as well as the whole site for anything suspicious. If someone is spotted, the Alpha Computer Group Monitoring Station zooms in on the suspect’s face with the corresponding Pan, Tilt and 36x Zoom Security Camera system, recording close-up digital surveillance video for observation and later police review. Once the Alpha Computer Group Monitoring Station observes and makes a trained decision on the trespasser. If they observe it is a criminal they dispatch the local police. Our Monitoring Station can work with the Long Island Police departments in both Nassau and Suffolk counties, describing the suspect and where they are on your premises. Alpha Computer Group’s CCTV Installation Long Island has been in business since 2004 performing CCTV Security Cameras Installation in Long Island & Surrounding Areas for Residential, Commercial & Industrial. We believe in word of mouth more than anything else. Most of our business comes from repeat customers and their friends & family. We specialize in CCTV Security Cameras Installation in Long Island, Video Surveillance Cameras Installation in Long Island, Remote Cameras Monitoring in Long Island, Wireless Security Cameras, Hidden/Covert/Nanny Cameras & much more. We provide new Video surveillance cameras installation & we also service existing CCTV Cameras Systems. Most common service provided for new clients is to get their existing CCTV Security Cameras System online or to Analyze & Recommend a State of the art 1080P HD CCTV Security Cameras System with Remote Cameras Access within affordable Budget. We also offer monthly Payment Plans & Maintenance Agreements for peace of mind. Alpha Computer Group is proud to provide an exciting new concept in security, loss prevention and asset protection for the New York area and across the Long Island; Nassau County & Suffolk County. For a dependable, experienced, quality and professional security camera system in Long Island and throughout New York, call Alpha Computer Group for a free inspection today at (877) 608-8647.